Low back pain is one of the most common and costly health conditions in Australia but unfortunately there are many myths about how it should be managed. Effective treatments are available from your local physio or GP. Most patients do not need to see a specialist. Injuries can happen when you do something new, different or strenuous, such as lifting heavy items or playing a new sport. 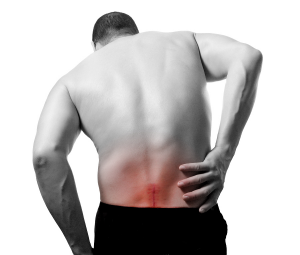 The pain may also occur because of a build-up of stress on the back that gradually turns into an injury. If your back pain is not settling with simple self-care options it can be helpful to make an appointment at Cobram Physio. Our physios can provide treatment to relieve the pain and they can also teach you how to look after your back and prevent future episodes. If you have a long-term back problem our physios can design a suitable exercise program for you. Do you experience back pain of an ongoing nature. 45 minute exercise program for MEN with BACK PAIN. Using predominantly clinical pilates equipment. Improve strength and flexibility of your back. Allow you to return to the form of exercise that you enjoy. Function with Less pain in your work and home life.